Amazon seems determined to inch its way into every aspect of our lives. The company already has a phone, a set-top box and an entire line of tablets. But what about when you're nowhere near any such devices? Earlier this week Amazon introduced Dash, allowing you to order household products with the touch of a button. However, last year Amazon also released the Echo, a wireless speaker that doubles as a voice-activated personal assistant named Alexa. Need to play music, search the web or -- wait for it -- order products from Amazon? Ask and Alexa will make it happen. If having a virtual servant didn't already make you feel posh, it should be noted that the Amazon Echo ($199, or $99 currently for Prime members) is still an invitation-only product, making units hard to come by. Thus, we turn to our readers to find out if Alexa is your go-to gal, or if this is a waiting list you're better off skipping. "A sleek, modern design that is attractive and requires very little space." At first blush the Echo is rather attractive, with JoshuaLawson admiring its clean design and mohan37 saying it "looks slick on the countertop." But you can't just place it on any table or counter. As skyward01 notes, the Echo needs to be plugged into an electrical outlet, which "limits the locations where the Echo can be positioned." Aviator4468 does feel it's "a very handy gadget" to have in your living room or kitchen. As a speaker, JoshuaLawson says the Echo "performs very, very well" and the excellent sound quality was the first thing he noticed. Mohan37 says the "highs are crisp, and lows are decent" for a speaker this size, and skyward01 finds it "does not distort even at high volume." But if you just needed a good speaker, there are plenty of cheaper options available. "I can use the voice command function from across the room without any issues." The real reason to buy an Echo is for its voice-recognition features, a virtual assistant that goes by the name "Alexa," though you can rename her. This is particularly handy if someone in your household is named Alexa or something similar; skyward01 reported that the Echo would often respond when his wife Melissa's name was called. Fortunately, al1885 "only experienced a handful of wake-word misses from Echo in about a month" and found Alexa's voice rather pleasant. In action, mohan37 says that the "voice recognition is excellent" and that Alexa "parses things amazingly accurately" though she "may not be able to act on everything you say." While users like floridaman1942 and al1885 were excited by Echo's potential, other users were hamstrung by its limitations. Skyward01's family found themselves repeating their requests quite often, and he says Alexa "didn't live up to the hope of the intelligent personal assistant that was presented in Amazon's video about the Echo." MolonLabe says Alexa's "limited speech recognition and rigid speech rules are shoddy," while JoshuaLawson noticed that "you can ask her to define or describe something from Wikipedia, but ask her a question that would require contextual understanding and you get nowhere." "I can listen to the news, weather and music without getting out of bed." However, there are a few bright spots, and mohan37 says that "the shopping list has already helped streamline trips to the store between my wife and I." He's also noticed that "general knowledge questions seem to go pretty well," as well as a few Easter eggs of note: Star Trek fans should try asking for "tea, Earl Grey, hot." 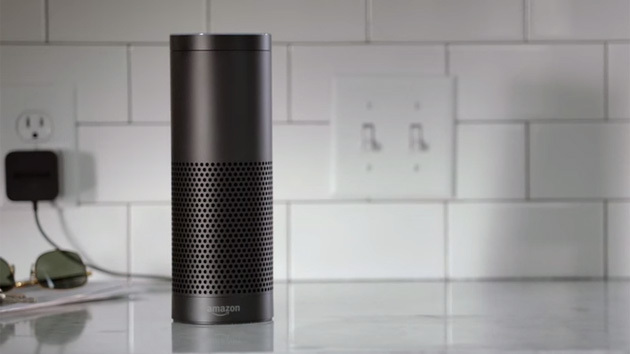 The Amazon Echo isn't quite a must-buy yet, but plenty of users are excited for its potential. Mohan37 feels that "one of the most exciting things about Echo is knowing that it's growing" and floridaman1942 thinks it can be "a great tool for shut-ins, people confined to beds or wheelchairs, people with eye problems or short-term sick people." Indeed, in spite of his rather disappointing experience with the device, skyward01 says the Echo's potential is "genuinely amazing" though its current novelty "wears off quickly." And, while he says we aren't there yet, JoshuaLawson feels the Echo is a sign that "we're on our way to the future."